We publish new authors of the Mind, Body and Spirit genre, and we distribute titles from other publishers from the UK, USA and India to name a few. Other terms describing our genre are New Age, Esoterics, Global transformation Environmental Science subjects, General Self Improvement, Spiritual &Visionary fiction, Shamanism, Mystery, Religion, the Paranormal, Psychology, Healing and most topics that are preceded by the word Alternative. All our printed titles and ebooks are printed and sold globally as well as in South Africa. Nadine is the Art Director of Kima Global Publishers. Both Robin and Nadine decide on the style sheets and the overall look of any new publication. She oversees all the typesetting and interacts with new authors when it comes to proof reading. Any illustrations and cover designs followed by marketing work, when it comes to creating posters, banners, flyers, and other design work for advertising and promotions is also under her control. 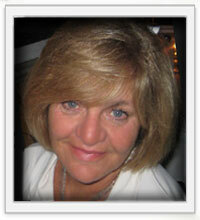 If needed, she teaches new authors networking skills and she manages the Kima Global websites with Jivanda de Jong. Nadine May is also the author of the ascension novel series with two non-fiction workbooks. ” And “War and Peace,” considered to be one of the greatest novels in literature, was printed by its Russian author, Leo Tolstoi for 4,500 rubles. – For the whole cover, selecting a suitable background effect whether plain color or textured with any of the special effects available in Photoshop. Too many people do not respect the work involved in it, and that is the root of the problem. Thanks for your comment. Yes the book world is drastically changing.